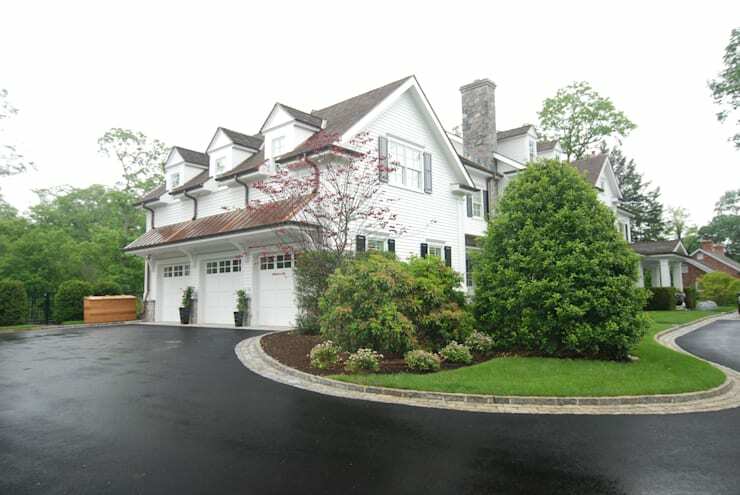 This custom colonial home in Greenwich, started out as a spec house which was purchased prior to construction being started, so the house was redesigned to meet the owner’s needs. The house is 8400 SF between the 1st & 2nd floors, with another 3000 SF of living space in the basement. Highlights include an open floor plan throughout the first floor with a barrel-vaulted coffered ceiling in the library. The second floor consists of a master bedroom suite, 3 en suite bedrooms & an in-law apartment above the garage.